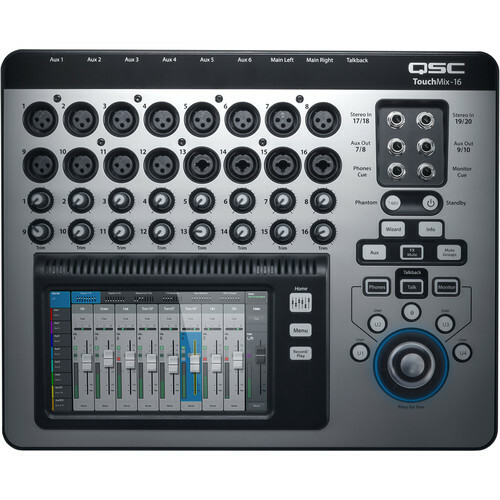 The TouchMix-16 Compact Digital Mixer with Touchscreen from QSC is a 20-input digital mixer that features 16 built-in mic preamplifiers and can be controlled by its integrated touchscreen or wirelessly via an iPad connected to the same wireless network. 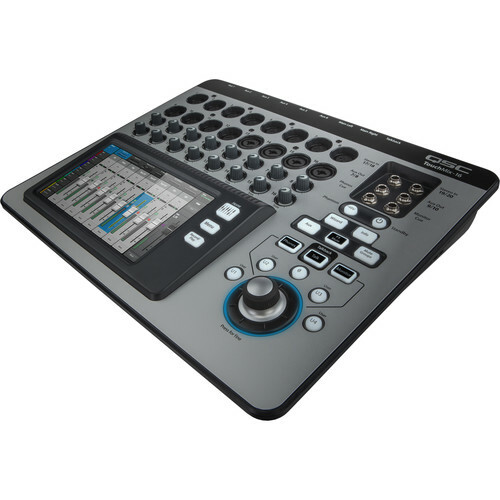 The mixer features a DSP-based 4-band parametric EQ with variable high- and low-pass filters, a gate, and compressor on each input channel. 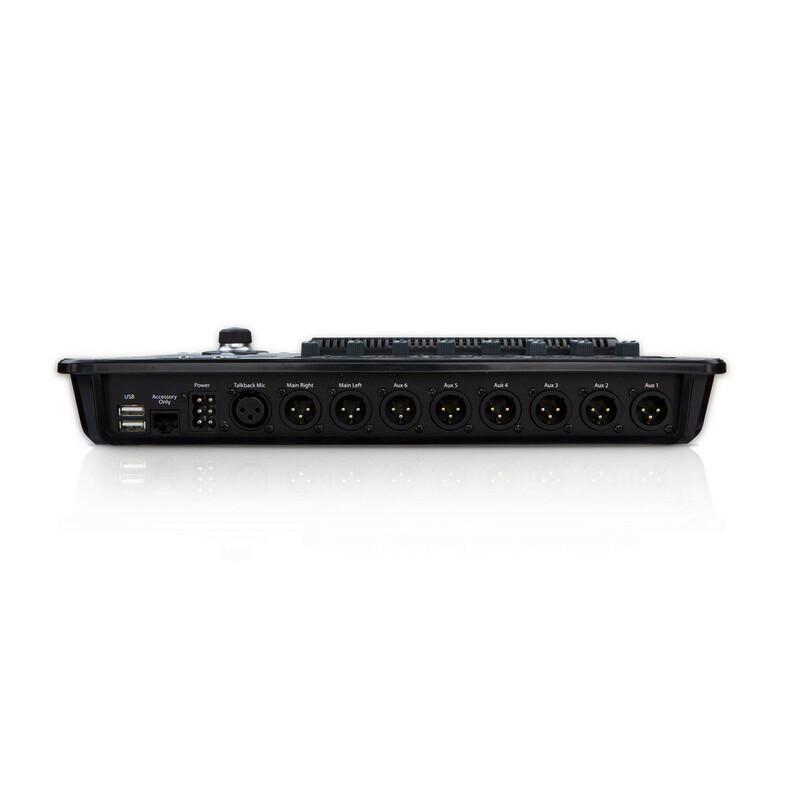 The TM-16's DSP also provides reverb, echo, delay, and chorus effects in addition to assignable pitch correction.